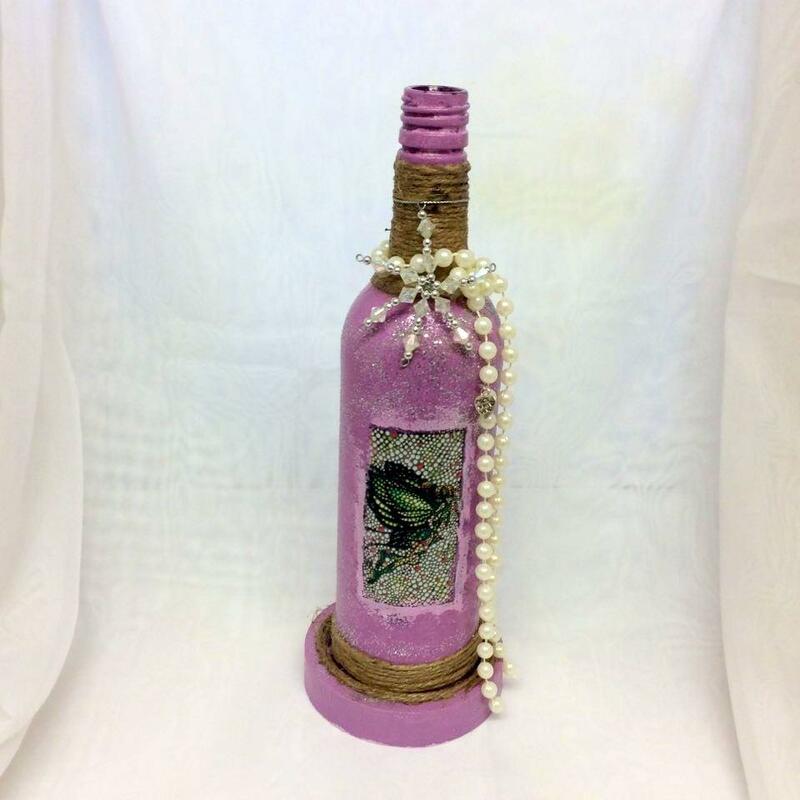 This Wine Bottle has been lovingly recycled and decorated. The Diamond shape has been painted with glass paint and decorated with Dragonflies. 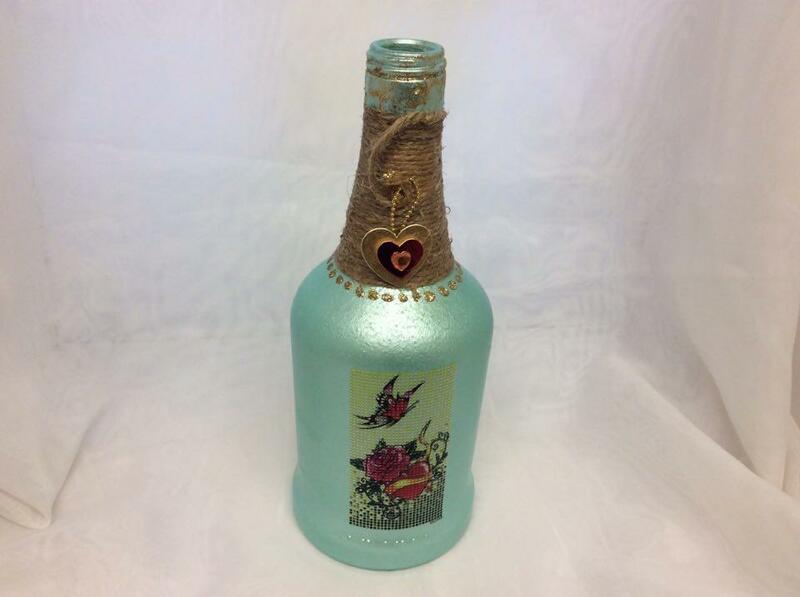 The inside of the bottle has Coloured Fairy Lights which is battery operated from the outside. We have left the glass clear to enhance the coloured Lights, it will stand on a coloured Plinth. This makes a very pretty decoration for the home and brings a lovely glow to any room.